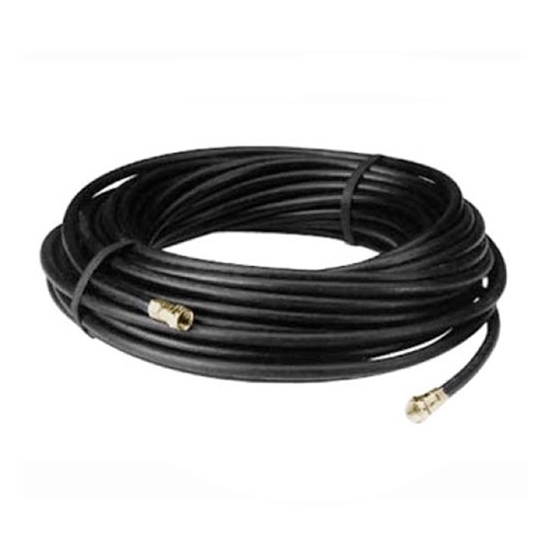 Digital Satellite Coax Cable, RG6 18 AWG, 50 ft roll. This coax cable with installed crimp connectors. This is EXACTLY what i need for running a long extension cable in to my house. It is made of high quality cable and connectors. Another benefit as well is that you absolutely can not beat the price! THANKS SUMMIT SOURCE!!! !